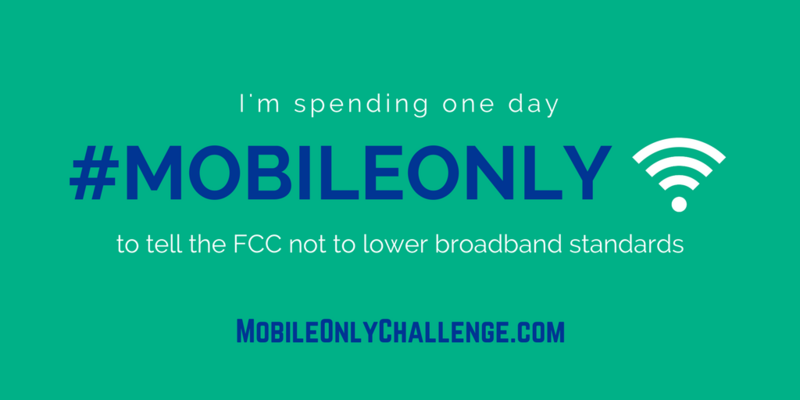 Next Century Cities has created an excellent resource to help you spread the word about the #MobileOnly Challenge. In addition to information about why the event is so important, they’ve created an FAQ Sheet, a list of Talking Points, sample social media posts, and an email message you can customize for the day in January you choose to take the challenge. They’ve also assembled a social media tool kit that also includes graphics and more. You can start posting now to let people know that you’re going to take the challenge next month and encourage more people to sign up. You can sign up today for the day of your choice and Next Century Cities will send you a reminder.